I heard about it a long time ago but didn’t try it until Google announced Kotlin became a first class citizen language on Android. I was genuinely happy to hear this news because now companies will be much more inclined to let us, tech people, use it in production as Google backs it up. So it was decided. I will learn this mysterious new language! The question is how? Here’s my path, and I hope it will help you to start with Kotlin as well. First, just try it out. See if you even like it. Do the Kotlin Koans to check what Kotlin is all about. Read the documentation reference (also available in PDF), it is 100% free. It wasn’t very pleasant to read as it is indeed just a reference, not an explanation about why things were defined the way they are. For me, it just doesn’t stick if I don’t understand the why in addition to the how. So to continue, and as I love technical books, I ordered the two main ones on Kotlin. 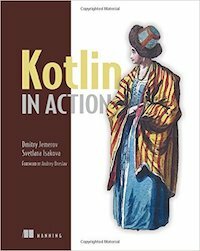 Kotlin in Action was written by Dmitry Jemerov and Svetlana Isakova, two members of the Kotlin development team. They extensively explain why things are the way the are. The information contained in this book is of high quality, so I advise you to get it and read it, even multiple times! 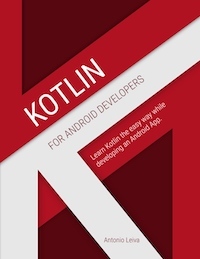 The second book, Kotlin for Android Developers (paper/ebook), written by Antonio Leiva, is an excellent book that you can literally read in a few hours. It goes straight to the point with lots and lots of code in it. I would recommend Android developers to start by reading this book first and then continuing with the in-depth Kotlin in Action book. To learn a new technology, the secret is to use it. Take one of your existing side projects, create a new one or take one in production that would be low risk to change, and convert it to Kotlin. I am lucky enough to have two Gradle Plugins we use at work so I started to rewrite one of them from scratch in Kotlin. I have to say that the experience was very satisfying. It reminds me of days learning of Ruby on Rails where you just sit in front of your screen in owe as the code is so concise and clean, and don’t even get me started on what coroutines do to your code! Look for a Kotlin meetup group near you or create one! I am convinced we learn best when we unite and share our knowledge within our developer communities. 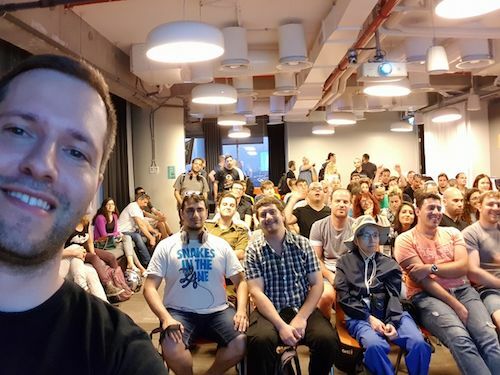 I started KotlinTLV and we were 100+ strong at the first meetup called Introduction to Kotlin. My next step is to start using Kotlin in our production Android App. It might not be an easy task to convince your teammates or bosses, but since you learned so much with the books, side projects and meetups, I hope you will feel confident you can lead the change your team needs to go full Kotlin. I hope this article was helpful to you, and good luck on the Kotlin learning path! ps: Thanks to Rhaquel Gherschon, Adi Levi and Guy Tsype for proofreading! Personal tech blog where I intend to talk about interesting things I learn along the way.